I have been recently bombarded with questions on how to prepare for the JEE examination towards admissions to the globally renowned Indian Institutes of Technology and best practices attached to it. So I thought why not document my thoughts on this and put it up here for everyone's reference. First of all try completing your syllabus well in time. Practicing questions after completion of syllabus is must as IIT - JEE problems are never going to be from particular topic. Try taking notes of important data at least of those that u want to by heart during the exam. Many starters ask which coaching is good and useful. See i did my coaching from Narayana IIT Academy Delhi. Other good institutes that i know are FIITJEE, Brilliant Tutorials and Vidyamandir Classes in Delhi. Further Bansals and Resonance in Kota are much sought for. Now let me clear one thing - you can join any of these straight. There is not much difference in the value they bring in at the end. There is in general much hue and cry for a seat in Vidyamandir Classes, but may I say it’s not that worth. 3500-120 students that get to enter IITs are non VMCians. While entering a institute helps you pace your preparations as you try to be with the classes. Also if you are going in for some correspondence course I would prefer if you pick up the FIITJEE one or at least FITJEE test series should be joined. I guess I must mention here the true spirit of Test series. A practice test is not at all useful unless for a three hour test u at least spend another three hours analyzing your performance. May be it sounds cleashay but it really helps you improve. Try eating a number of times during a day (especially nearing exams) but lesser amounts per time. This not only will keep you energetic but will also give you those so essential breaks when you analyze your status of preparations. The day before exam try revising important points and keep the day mostly free to relax a bit. Do not take any test paper on the day. Be calm and feel confident. Now on the eve of your exam sleep early and tension free. Ask your mom to wake you up a little early the next day and trust her she definitely will...I say this to emphasize how necessary it is to sleep "tension free". Finally - be confident go in and write your exam. Some of the books I referred for preparations are as below. There can never be a single book for chemistry. For Organic R.K Gupta(Arihant Publications) and Solomen. Inorganic needs notes to be made from different sources.Your +2 level course book suffise for preparations. What I followed was A.D.Gupta, Tata Mc Grawhill and an objective book i dont exactly remember the name of. If u wanna start from scrap and Practice basic problems "so called childish ones" M.L. Khanna is best. Books like S.L.Loney and Bernald Child could be done but causiously. What i say is ask your teacher to mark relevant questions for you from these books as these books were never meant for JEE preparations. 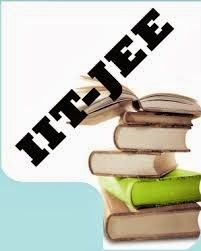 Very nice guidance and really to prepare for the IIT Jee. thanks! Online Video lectures for IIT Jee also is the best way to crack the IIT Jee exam. Very useful content.Thanks for sharing this blog.Good job.Keep going on.